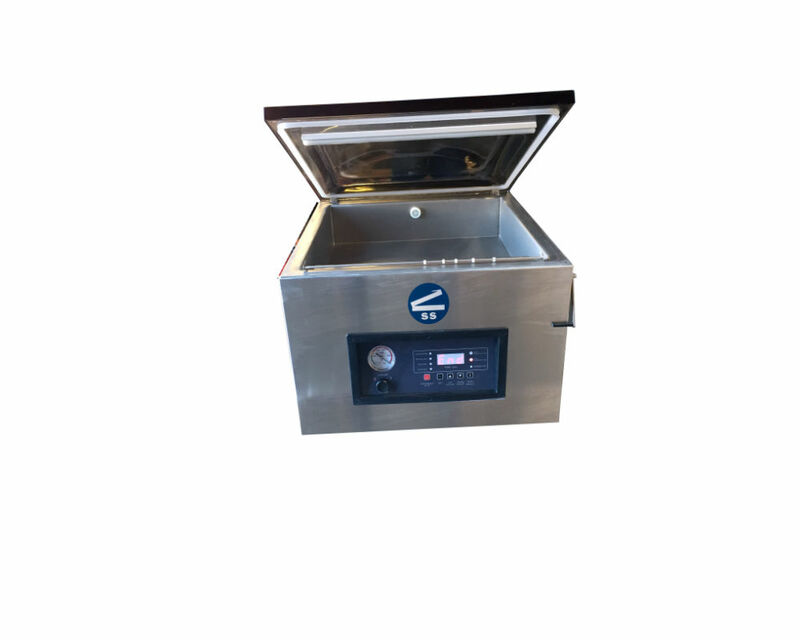 DZ-500T Chamber Vacuum Sealer — Sealer Sales, Inc. Impulse seal - sealing length: 18.5"
Our DZ-500T vacuum sealer is an economical 18" stainless steel vacuum chamber packaging machine. The vacuum sealer is ideal for vacuum forming and sealing different types of vacuum pouches used in the food, pharmaceutical, coffee, tea, or electronics industries. The unit is small and does not need an external compressor to operate. The sealer is equipped with a digital control panel for setting the sealing temperature, sealing time, drawing air time, and cooling time. Once the lid is closed, the machine automatically performs the operations which can be followed visually on the control panel. The lid opens automatically when the vacuum forming and sealing operations are completed. Dimensions 23" x 26" x 20"